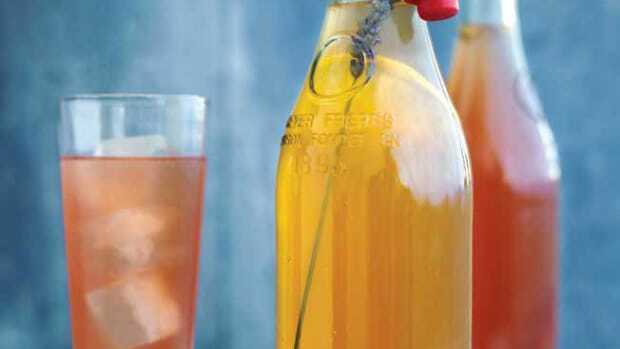 If you aren’t making your own kombucha tea yet, why the heck not? It’s tasty, good for you, and cheaper than buying it already prepared. 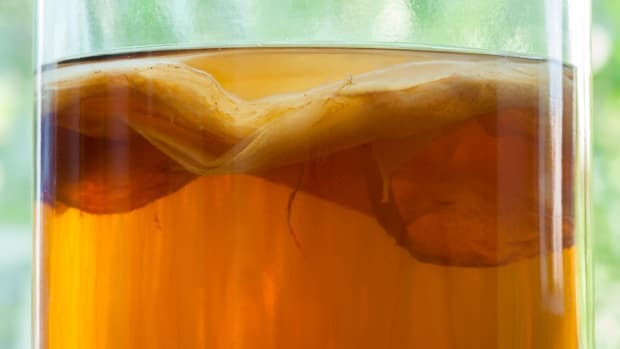 Kombucha, for those not in the know, is a fermented beverage made with sweetened tea and a kombucha culture called a SCOBY (Symbiotic Culture Of Bacteria and Yeast). 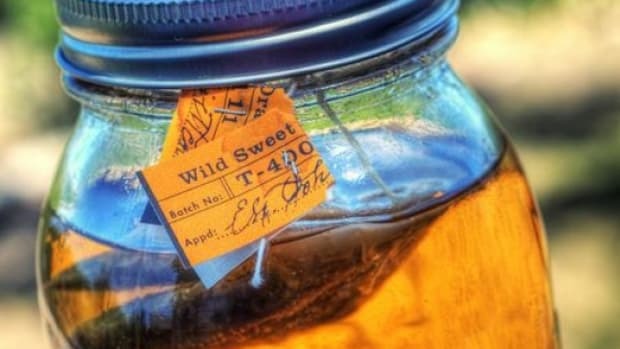 Sweetened tea and the SCOBY are placed in a jar for 7-10 days after which time the kombucha tea is ready for drinking or ready for a secondary fermentation process to add effervescence and additional flavorings. This secondary fermentation is what takes already tasty kombucha to a whole new “extra-tasty” level. The secondary ferment can also be broken down into two steps. 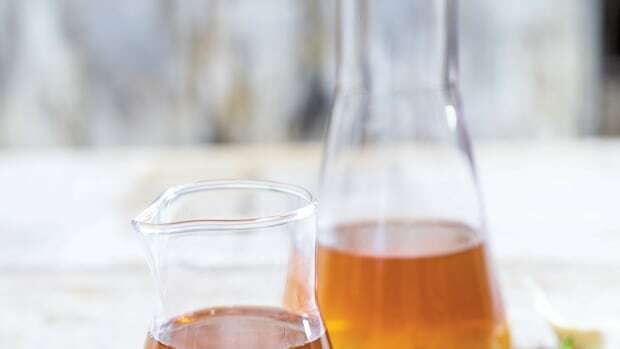 The first step is to add flavorings--fresh fruit, juice, herbs, and more can be added to the jars after removing the SCOBY for 1-4 days, depending on what you add and how much flavor you want to impart. If using fresh flavorings, like fruit, it’s probably best to not leave them longer than 1 day to avoid mold issues. After 1-4 days your flavored kombucha tea is ready to strain and drink, or bottle in airtight bottles to add natural carbonation. While you can use any type of glass jars for the initial ferment, if you are going for more effervescence during your secondary fermentation, you will need to use airtight jars, like the ones pictured below. Airtight containers trap Co2 and forces the bubbles into the kombucha. Two great resources for making kombucha tea are "The Art of Fermentation" by Sandor Ellix Katz (which many consider the foremost fermentation resource) and a relatively new book called "The Big Book of Kombucha" by Hannah Krum and Alex LaGory. 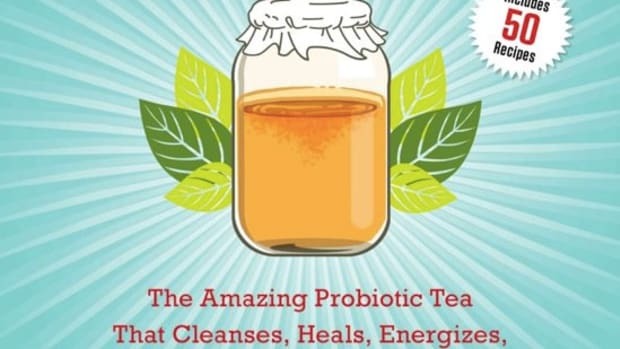 While Katz’s book focuses on all kinds of fermentation, Krum&apos;s and LaGory&apos;s book offers a crazily detailed look at the kombucha making process. These two are my go to books on making ‘booch. 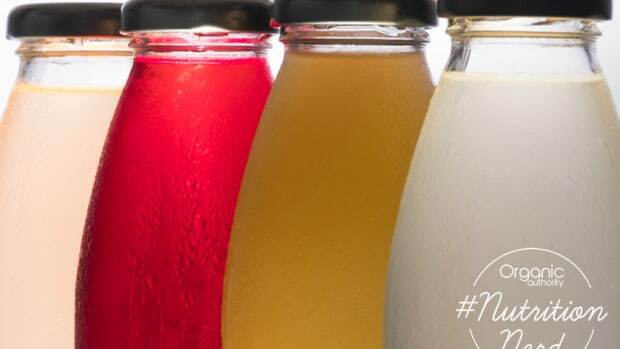 Now that you are ready to add some flavor and bubbles to your kombucha tea, just what flavors should you try? Here are some easy ideas to get your started. Hibiscus - While dried hibiscus flowers might not be the first flavor that comes to mind, give it a try. 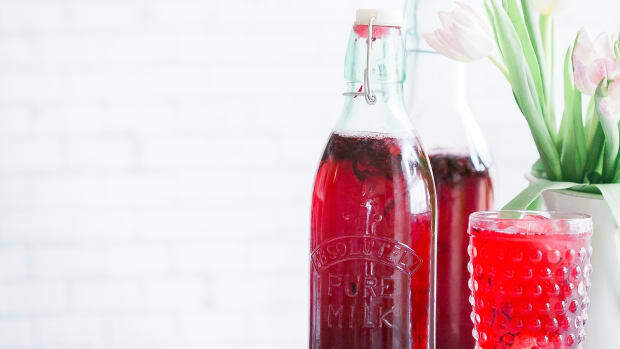 The flower petals are high in sugar, which the kombucha just loves, and the result is a highly addictive sweet, sour, and aggressively pink brew. Chamomile and Honey - Adding dried chamomile flowers and honey to your brew makes for a much more subtle tasting brew, but one that is calming and easy to drink. Macerated Mixed Berries - When berry season comes on, add macerated berries to your kombucha for a berry rich delight. Berries are rich in antioxidants too! 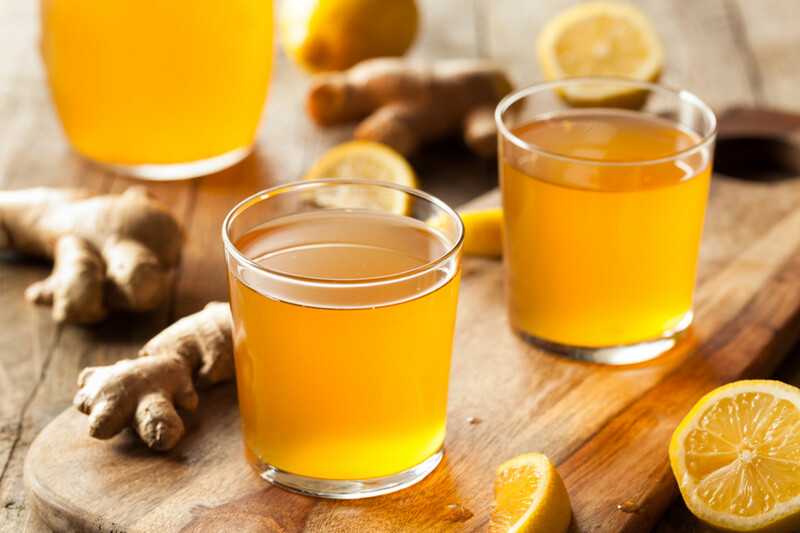 Ginger - I love to add lots of ginger to my brew to impart lots of spicy, warm flavor. Add less ginger for if you don&apos;t want to go for a spicy brew. Black Cherry Juice - If you can’t find fresh berries, add a little cherry juice. I think it takes on a rich wine-like flavor. 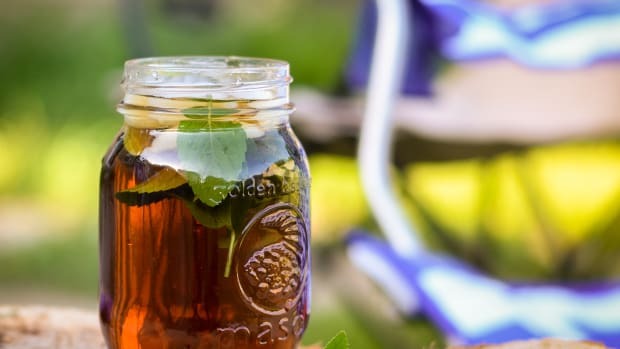 Mint and Honey - Adding mint and honey to kombucha makes for a sweetly refreshing drink. It’s perfect on a hot summer day. Honeybush - Honeybush is a South African flowering plant. The leaves of the plant are roasted and dried to make an herbal tea that is a cross between Rooibos and Chamomile. 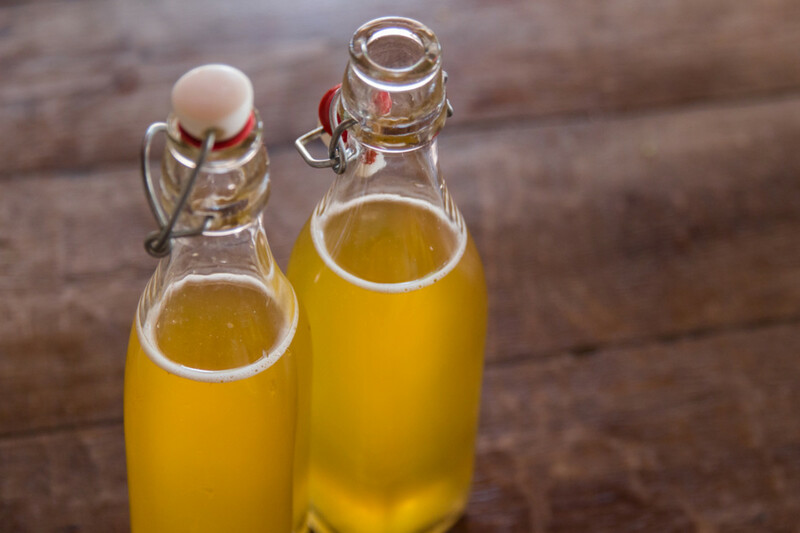 It has a sweet and light taste and makes for a wonderful mix-in for kombucha. You may need to add a little sugar with the Honeybush for the kombucha to feed on.